The Sanskrit word “Seva” it to remind ourselves what our intentions really should be focused on. Seva encompasses the concept of selfless service – or giving without any expectation of receiving anything in return. 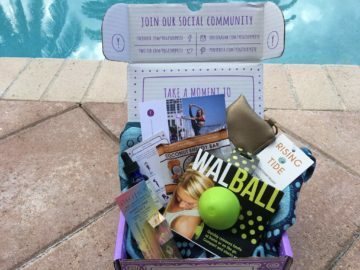 The December box is designed to help restore your sense of peace and energize both your mind and body. 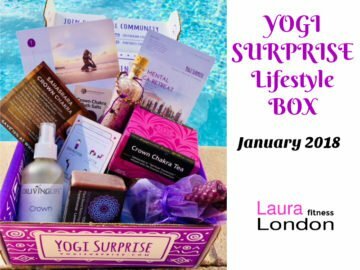 Yogi Surprise is a monthly subscription box of yoga inspired items, designed to complement your way of being. It’s like a retreat at your doorstep! 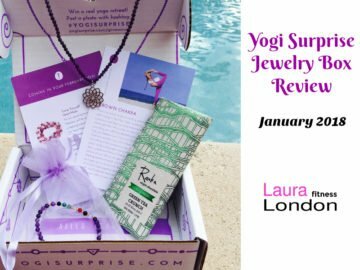 I love subscription boxes because it’s like getting a special present every month. My husband fell in love with this oil right away. I actually had to search the house for it to take a photo. This oil will boost your mood and energize your whole body. Apply it as a fragrance, use it in the shower, or gently inhale it before your morning meditation so that you can take on the day with purpose. Lemon, spearmint, lavender, and petitgrain are a few of the oils in this magical blend. Drop this organic, unrefined, portable coconut oil pouch into your purse or yoga bag before you head out. Use it for daily oil pulling, adding it to your morning coffee, or moisturizing your skin when you’re on the go. Read my blog post on the benefits of Coconut Oil. My son has a difficult time falling asleep. He loves the Badger sleep balm. It has a soothing blend of bergamot, lavender, ginger, and other organic ingredient that help to calm the mind and help you relax as you fall asleep. Start the New Year by being more mindful of your eating habits. The Sugar Detox book will help you prepare to cleanse and purify your body after an indulgent holiday season or any time of year. When thoughts are running wild through your head, look toward the grounding powers of the Earth to restore peace of mind. Light this candle during an evening bath or meditation practice to let the aromas of frankincense, myrrh and palo santo soothe a restless mind. This candle smells AMAZING! Celebrate the holidays and the winter season yogi-style with this beautiful, decorative bell crafted from recycled iron sheets and covered in copper alloys. Hang it in any room for a little rustic holiday charm or right outside your front door to welcome friends and relatives. The mini ceremonial bath kit from Gemstone Organic. 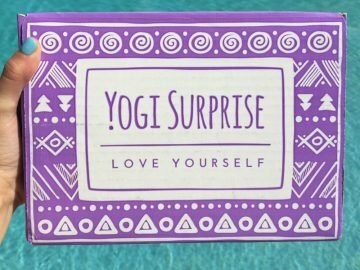 This kit works specifically on the Crown Chakra, which is your source of consciousness and spiritual connection to the universal flow of energy.